A surge in passenger traffic on scheduled flights to leisure destinations and capacity shortages are forcing Russian carrier VIM Airlines to prolong the partial reduction of its charter program. 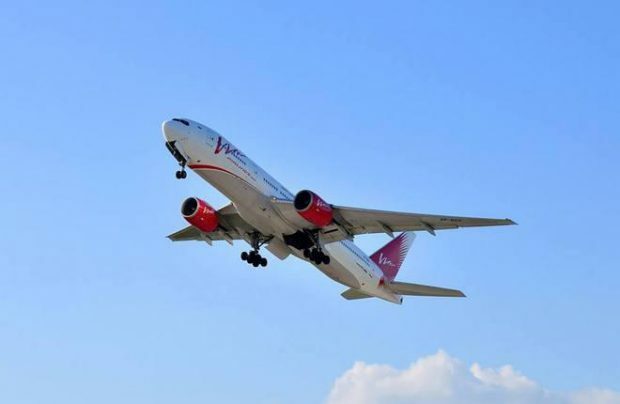 After negotiations with its travel agent partners and the authorities, VIM said it had elaborated an “optimal charter schedule” for the summer season “with minimum losses for all the stakeholders.” It also promised that the schedule will stabilize within the next two weeks. The carrier also said that regular domestic operations remain its priority, as do those charter flights, already paid by the customers. VIM first faced schedule disruptions in late May due to unexpected challenges related to the planned maintenance of three of its aircraft. Most likely to be affected by the situation is the airline’s plan to operate charter flights to China, which were due to launch in April. Reducing the current frequencies to China could help the carrier redirect some of its aircraft to regular operations inside Russia. However, the operator is so far reluctant to cancel its Chinese plans altogether. VIM Airlines is Russia’s 10th largest airline by passenger traffic. In January through April 2017 it carried 466,400 passengers, up 15,7% on the same period last year. According to the Association of Tour Operators of Russia, the airline’s recent flight disruptions affected over 10,000 travelers. Over 250,000 travel packages involving VIM charter flights have been booked until the end of the summer season. The airline has been agressively expanding its fleet recently. Last year its fleet grew from 10 to 28 aircraft; most of these are long-range widebodies. With the leisure travel market in mind, the carrier ordered 10 Boeing 777s, two 767s, and two Airbus A330s. Following the VIM disruptions, Russia’s Federal Air Transport Agency ordered all of the country’s charter carriers to sort out their charter programs, make sure they have back-up aircraft, eliminate delays in excess of two hours, and inform passengers in advance about any schedule changes.